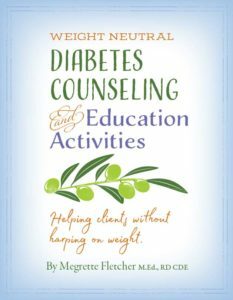 This new program will help health professionals teach clients about type 2 diabetes in a weight neutral way. This program can be tailored to your budget and learning needs. You can purchase the book, the book and CPE program or the book, CPE program and 7 webinars that review each of the 14 concepts presented in this unique program.